1. The presidential system of government was adopted in Nigeria in? 2. Prior to 1979, Nigeria was practising the ____. 3. The following are types of democracy except? 4. Baron de Montesquieu formulated the theory of ____. 5. When Government rules according to the dictates of the constitution; it is said to have ____. 6. The age for an adult franchise is? 7. The total number of Local Government Areas in Nigeria is? 8. The Judiciary is the arm of government that? 9. Fascism is usually associated with ____. 10. The Bureau for Public Enterprises (BPE) in Nigeria is charged with the responsibility for? The Headquarters of the International Court of Justice is in? 12. A Law passed by the legislative and assented to by the president becomes? 13. The group of states that conceived the idea of the United Nations includes? 14. The Citizenship of a country may be acquired by an individual through ____. 15. The first West African Country to gain independence is? 16. The Lagos Treaty of May 28th 1975 led to the formation of? 17. A state is a special form or human association because it? 18. Bicameralism refers to ___. 20. Residual tax is generally collected in Nigeria by the? 21. The Chief Law Enforcement Officer of the Federation is ___. 22. The Angolans rebel leader killed in February 2002 by government forces is? 23. Which of the following towns was the last federal capital of Nigeria before Abuja? 24. All except one practice a Federal System of Government? 25. Which of the following is not associated with the Universal Declaration of Human Rights? 26. Which of the following parties formed a government during Nigeria's first republic? 27. Under the McPherson Constitution, members of the central legislature were? 28. An issue over which both the central government and the state can exercise authority in a federal system is? 29. The following are members of Commonwealth except? 30. 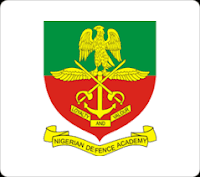 The overall military Head of the Nigeria Defence Academy is referred to as? 31. Which of this statement is CORRECT about Proportional Representation? 32. The form of government in which the power of the hereditary ruler are limited in? 33. Nigeria became a member of the United Nations Organisation on? 34. Which of the following is responsible for maintaining and securing Nigeria's borders from violation on land, sea and air. 35. ___ is the symbol of authority in Nigeria's Senate. 36. The World Bank and International Monetary Fund (IMF) are members of? 37. Nigeria was named by? 38. Which of these is not an agent of political socialization? 39. The Subsidy Reinvestment Programme (SURE-P) was introduced by the government of? 40. The Technical Aid Corps (TAC) programme was introduced by which Nigeria President.